Rare pre-loved bags from some of the world’s most renowned fashion houses will be available for sale at Handbag Clinic’s brand new Newcastle store. Style savvy customers will be able to snap up a piece of fashion history when Handbag Clinic opens on Mosley Street on November 27th. Handbag Clinic, which repairs and cares for high-end designer handbags and leather goods, as well as fixing worn red Christian Louboutin soles, opened its first standalone store on London’s Kings Road earlier this year to huge success and now, the North East is getting it’s first taste of designer bag maintenance. Launching in Newcastle with its largest shop, where it can not only provide TLC to handbags in need of anything from a basic clean to a full re-colour, it’s also selling coveted accessories from the houses such as Chanel, Louis Vuitton and Celine to name a few. Many of the vintage and pre-owned bags are must-have pieces which have been owned and loved by A-list celebrities. Some of the first handbags for sale in the Newcastle store will include a large Chanel Cambon tote bag in ivory lambskin with the iconic black interlocking CC logo. Other Chanel bags available include the iconic Quilted Classic (2.55) handbag in navy blue lambskin with gold hardware and a Cambon bowling bag in pink lambskin. The Cambon has been a favourite of celebrities such as Victoria Beckham and Madonna over the years. 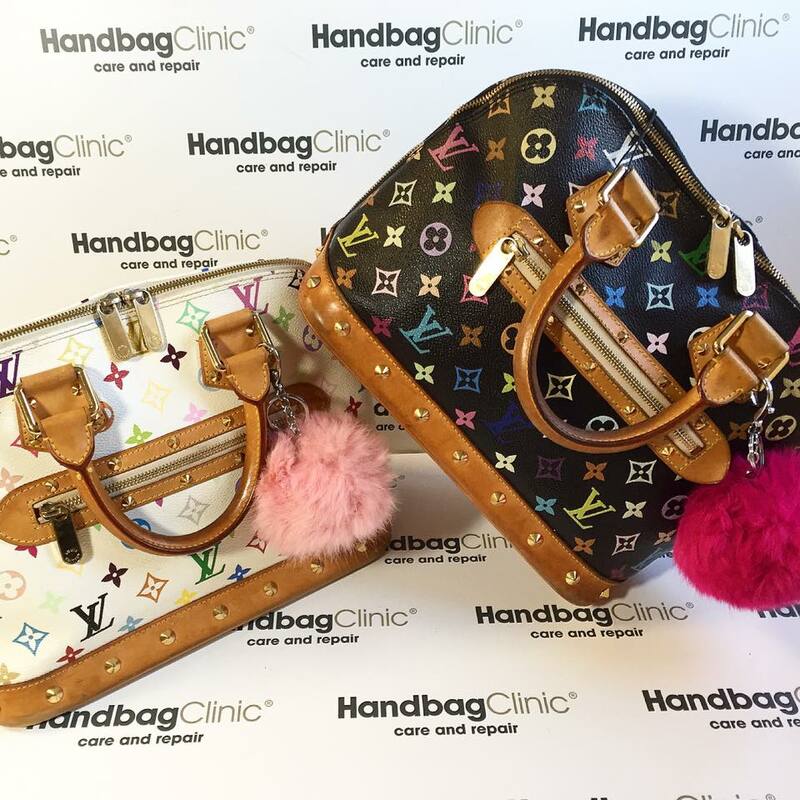 Handbag Clinic has also sourced Louis Vuitton bags, including the classic Speedy 25 monogram and limited edition Alma Multicolour in both black and white, which was designed by the contemporary Japanese artist Takashi Murakami and first launched in 2003 in a collaboration brought together by the French fashion house’s former creative director Marc Jacobs. It is a style which is becoming increasingly rare since being produced in such limited numbers and obviously no longer being made by Louis Vuitton. For fans of fellow French house Celine, a luggage Phantom tote in camel calfskin will also be available for sale; the very same model carried by the likes of Kim and Kourtney Kardashian, Naomi Campbell and Alessandra Ambrosio. I’ll be at the launch party for this awesome new service which is very timely as I also have a Tom Ford handbag in need of a service…. Handbag Clinic opens on Mosley Street, Newcastle, on November 27th.